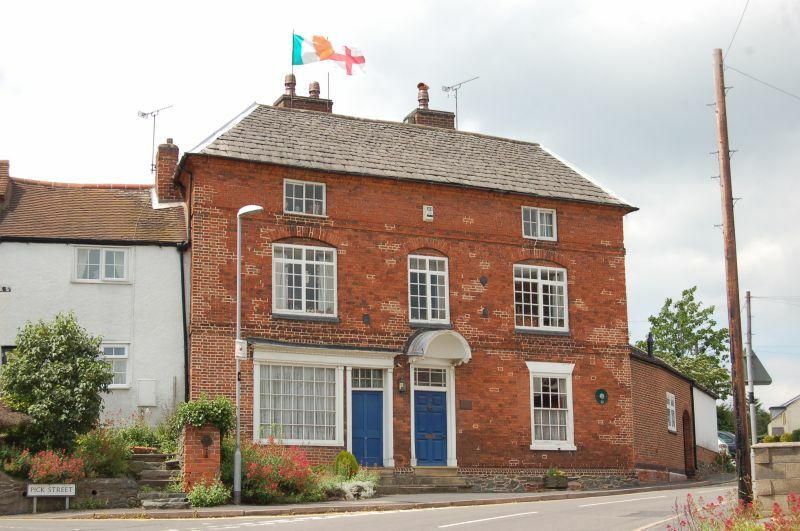 House, early C18, red brick on plinth of granite (to right) and brick (to left). range, double fronted. Coved brick eaves. Raised flat bands between storeys. house commands an important site at a turn in the road.